Once per year, between mid-July and the end of August, if you’re in the Northern Hemisphere you can look forward to watching the Perseid meteor shower. During this impressive annual show, which typically peaks between August 9 to 13, you can expect to see between 60 to 100 shooting stars each hour. Because of this, it’s often the most spectacular stargazing event of the year. If you’ve never stayed up late to sprawl out on the ground and take in this amazing experience with your family or friends, there’s nothing like it. Of course, it’s becoming increasingly harder to find dark sky spaces across the country, and some of us just simply don’t have the luxury of stargazing from the comfort of our backyards or even nearby for that matter. In fact, it’s estimated that two-thirds of the U.S. population can’t see the Milky Way anymore. So at least once in your life you should plan a trip around watching the Perseid meteor shower. Head to a secluded wilderness area, park or wide-open space, set up camp for prime viewing and cross your fingers for good weather. You won’t regret it. Our national parks are an obvious choice for prime stargazing, but in Canyonlands National Park—designated an International Dark Sky Park in 2015—it’s an otherworldly experience. If you’re camping at one of the several campground facilities within the park, you can take advantage of ranger-led stargazing programs at both the Island in the Sky and Needles Visitors Centers, which are followed by telescope viewing. 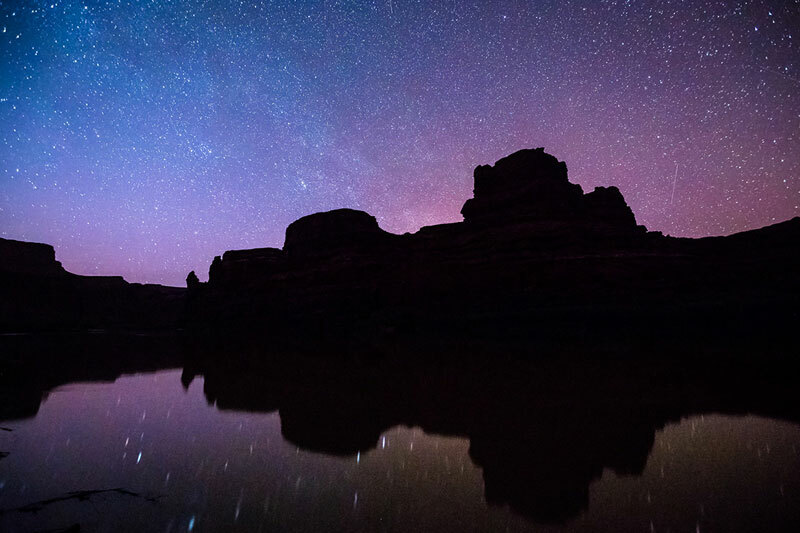 Arguably the best stargazing experience in Canyonlands, however, is from a secluded beach campsite along the Colorado River. 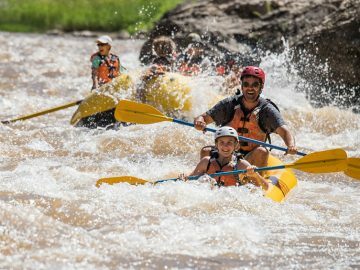 Time a Cataract Canyon rafting trip just right, and you’ll be able to watch the Perseids melt into the shadows of towering canyon walls in the heart of the park. 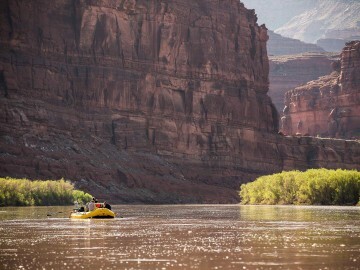 Bonus for the incredible scenery you get during the day as you travel downstream through a majestic red rock labyrinth. Any place with “cosmic” in its name pretty much guarantees it will be a good choice for watching the Perseid meteor shower, but what really makes Cosmic Campground in western New Mexico’s Gila National Forest an exceptional stargazing spot is the fact that it’s more than 40 miles from any “significant source of artificial light.” In fact, this special spot in the lower 48 is so dark it was recognized as the first International Dark Sky Sanctuary in the Northern Hemisphere. As with most wilderness areas, you’ll find a wide variety of recreational opportunities in the vicinity, but come nighttime, all eyes are on the sky. This is currently a very primitive campground with dispersed camping and limited site amenities, so plan for more of a backcountry experience. 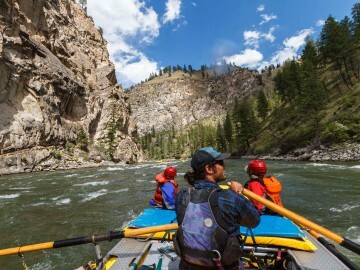 Anyone who has ever been on a rafting trip through Idaho’s remote Frank Church River of No Return Wilderness knows that light pollution is non-existent in this wild and rugged region. 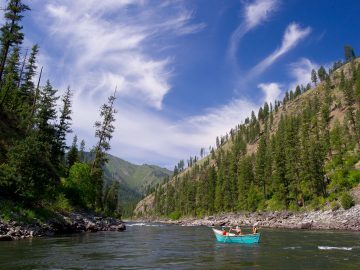 Whether you’re paddling the Middle Fork of the Salmon River, which lies on the northern border of the new Central Idaho Dark Sky Reserve, or the Main Salmon River a bit further north, both offer prime stargazing. On any random night the brilliant star-filled sky is a masterpiece and the Milky Way is a given. 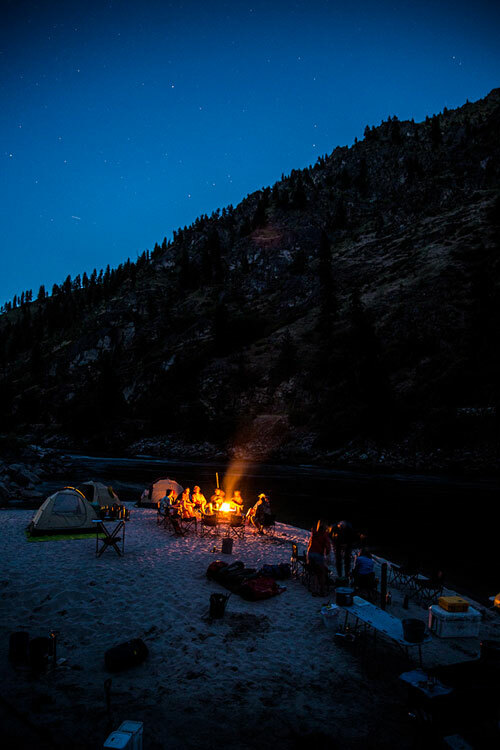 Now imagine being several days into a river trip and watching the peak of the Perseid meteor shower as you’re sprawled out on a big sandy beach in the middle of nowhere. 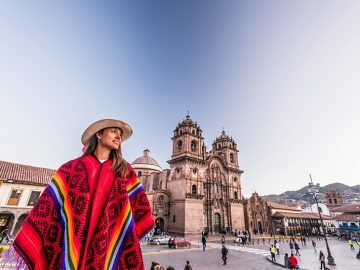 An once-in-a-lifetime experience you’ll never be able to match? Check. If you live on the densely-populated East Coast, dark skies can be particularly hard to find, which is what makes Pennsylvania’s Cherry Springs State Park so special. Situated on top of a hill within the 262,000-acre Susquehannock State Forest, Cherry Springs was established as an International Dark Sky Park in 2008. While there are ample hiking opportunities in the area, the night sky is clearly the main attraction here. The park offers visitors a night sky viewing area, celestial talks on Friday and Saturday evenings May through October and they also host star parties several times per year. With its reputation for being one of the darkest spots east of the Mississippi River, and only 30 campsites, you’ll want to make camping reservations 5 to 6 months in advance, especially if you’re trying to catch the Perseid meteor shower. Overnight permits are also available for the park’s designated Astronomy Observation Field which offers 360-degree unobstructed views of the sky. It takes two separate ferry rides to get there, and you’ll have to backpack into one of its 40 primitive campsites, but camping on Rock Island State Park in Wisconsin is worth the effort. Located off the tip of the Door County Peninsula on Lake Michigan, this vehicle-free island provides overnight visitors the opportunity to watch celestial shows from its isolated location on one of the Great Lakes. If Rock Island sounds like more of a hassle than an adventure to you, or camping is unavailable, nearby Newport State Park—the only official Dark Sky Park in the state—is a worthy back-up plan. Here, people can stargaze from nearly 11 miles of shoreline. The Boundary Waters, a one-million-acre swath of primeval forests, lakes, streams and wetlands that sprawls across northern Minnesota’s Superior National Forest and into Canada, is arguably one of the most famous paddling destinations on the continent. And with more than 2,000 campsites dotted along this extensive network of waterways, it’s also prime territory for viewing the Perseids in total seclusion. Pack up your canoe or kayak with supplies and paddle out to your own slice of paradise under the stars. 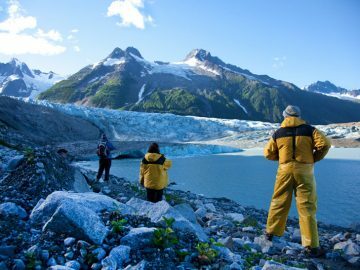 You’ll need a permit to access the wilderness and some popular put-ins are subject to a lottery, but many are available on a first-come-first-served basis. 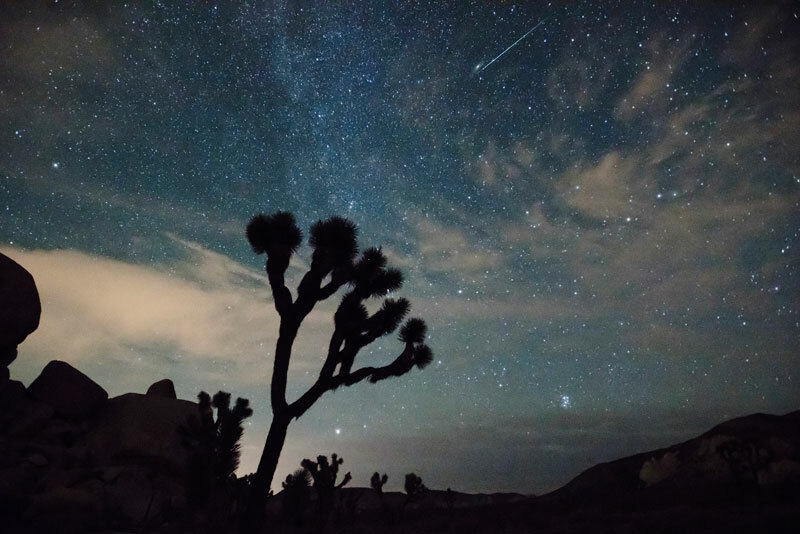 You wouldn’t think that a place that’s just 140 miles from one of the largest metropolitan areas in the U.S. could provide optimal stargazing, but the eastern wilderness area of Joshua Tree National Park in southern California offers some of the darkest skies in the region. The tenth park in the National Park System to be certified as a Dark Sky Park, Joshua Tree offers visitors an out-of-this-world experience with both its view into the cosmos and its namesake trees and rock formations which almost appear as if they’re from another planet. Summer is actually off season for this desert park, with temperatures that can exceed 100-degrees during the day, but nights will typically cool off slightly. 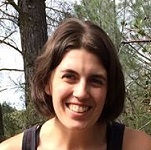 There are nine campgrounds available for camping, but for stargazers, Cottonwood Campground provides the darkest conditions. Kissimmee Prairie Preserve State Park in central Florida provides 54,000 acres of solace in a pristine natural area. Situated away from the main population hubs, not only does the park protect a fragile dry prairie eco-system, including endangered plants and animals, it also preserves a rare natural nighttime environment. Visitors can bike, hike and explore more than 100 miles of dirt trail throughout the preserve by day, and soak in the incredible night sky by night. There are a variety of camping options including 30 developed sites at Kilpatrick Hammock Campground, an equestrian campground, several primitive wilderness sites, as well as several designated “Astronomy Pad” sites where after dark all lights must be red spectrum and no campfires are allowed for optimal viewing conditions. Sites can be booked online up to 11 months in advance, so plan accordingly for the Perseid meteor shower.